My journey into business intelligence (BI) began with an IBM commercial about a bakery. Using analytics, the bakery uncovered a customer coping method of sorts: People buy more cakes when it rains. This unexpected insight allowed the shop to better plan its inventory based on the weather forecast. I was fascinated by how a company could use data to find patterns and then use those patterns to improve their business processes. From that moment, I was hooked. Oh, THAT’S the BI tool we’re supposed to use! 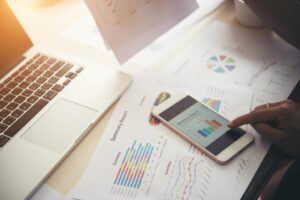 Just as Business Intelligence (BI) tools become the hot topic, there are more solutions available than ever…except that there aren’t, because only two of them are actually worth your consideration. 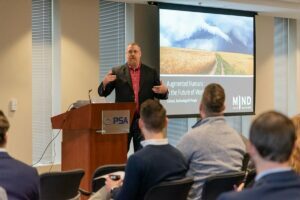 On Wednesday April 20th, the Inner Harbor was buzzing with Office 365 talk, as Mind Over Machines combined forces with System Source to present Office 365: Way More Than Email! Managing data and analysis in the increasingly complex financial services landscape is more critical than ever. New legislation, increased compliance requirements and continued risk due to uncertain economic times have necessitated significant additional IT investment. Leaders in the financial services industry are under intense pressure to not only meet compliance and mitigate risk, but also to fully leverage IT investments and drive growth and profitability. Part 1 of this series on enterprise security explored 6 IT tools and tactics that safeguard enterprise assets, defined their primary roles on the security team, cautioned about limitations, and noted – most importantly – the various types of data each system collects and uses. Traditional security strategies are just not enough to thwart the unseen and prevent the unknown. But there is hope in the data. Just as enterprises have found hidden gold in their data, so too are there new ways to collect and analyze data that will help companies identify which of the holes in the fortress is the most vulnerable today – and which might become most vulnerable tomorrow. In other words, the zombie apocalypse is coming – so better get ready. There are lessons to be learned from the bad guys. a programmed the machines to teach themselves to perpetually adapt to changing combat environments. The smart machines grew powerful less because of their abilities to destroy and more because they were practically indestructible. It is not possible to know all the potential threats and attacks. It has not been possible to assess the real potential threats to a company based on its profile in any holistic way. It has traditionally been too much information with too many unknown elements that have not been and may never be correlated due to the size, complexities and obscureness of the correlations. Having a more complete picture of past experienced utilization of vulnerabilities, vulnerabilities discovered along the way has been difficult at best and rely mostly on individual analysis. Significant progress in tactical devices such as IPS, IDS, Endpoint security, and encryption has increased the ability to respond to the fluid set of vulnerabilities in the modern super distributed complex infrastructure. The more security an enterprise wants the more it will spend. The try to achieve high-level security without necessarily a correlation to reality of the effectiveness of the tactics in similar types of businesses and situations. By characterizing, storing and indexing a broad amount of information about the sum total of an enterprise it is now possible to take effectiveness analysis and therefore ROI analysis to the next level. The future holds new promise. By combining sources of information previously unavailable, not practically usable, and not appropriately characterized techniques and tools from other industries can be applied. How you can use data to enhance security – affordably? Storing all information – that traditionally has not been captured for post-mortem and predictive analysis – at the time of, during, and after attacks using “Big Data” techniques (store everything for later use) can provide new security insights.To make use of the information it must be characterized for analysis through a taxonomy and Master Data Management (MDM).This information can include: logs at the time of attack; personal activity at the time of attack; transactional activity; all non-IT activity; detailed company profile; detailed employee profiles; current, recent and near future corporate events. Monitoring sentiment (internal, external, hacker community) can provide very effective predictive analysis. Hackers, such as those who make up “Anonymous,” have a tendency to brag before, during and after an attack using public but less popular social media sites, especially blogs. Honeypots (traps) created to collect and monitor sentiment information have been very successful in luring hackers. Sentiment tracking – not just about being awesome or sucking. It’s creating the profile of the people who are discussing you – and what seems to drive them to spread the word. If it requires 12 hackers then you would want to track them to see what 12 of them are saying about you. That’s too simplistic. The real correlations are unobvious – so what do you do? You let the computers find the correlations, try to make use of that knowledge and then measure the effectiveness of that proactivity. That’s machine learning. What’s different now? From a big data argument – there’s more interconnected data, there are practical (affordable) ways of storing and retrieving it. There are systems that can semi-autonomously analyze, act, measure effectiveness, learn and start all over again. Fairly static human element in the data – but you also have to account for dynamic conditions and indicators of future conditions (sentiment – hacker tracking) – the one we cut. The data is out there. The machine learning capability and drone style autonomy is no longer nascent. Its not futuristic – it’s here. Social media/hackers – the dynamic conditions on the ground outside your own little fortress. You’ve defined the barbarians, but what are they doing at the moment? What are they thinking, what are they planning, how easy of a target are you, and why category of target do you fit for them. Get into the mind of the enemy (and stay there!) See your organization as they see it. Target prob never thought they would be a target. You don’t know what your value is as a target. You don’t have a model for what that means to be categorized as a target – so how do you have the vaguest idea of how much to spend. Once you get there, you have to realize that you’re not the only one to get there in the thinking, and how do you learn from what happened to Target. Say Target didn’t have an online presence. Target was a target b/c of their interconnected. The breach occurred through an outside vendor – so it wasn’t the fact that they were a retail organization, it was that they use a large number of sub-contractors that left them vulnerable – b/c of the attributes of the way they do business. What are the non-obvious connections you’re looking to find. Non-direct comparison would be BGE Home? How could they possibly compare to Target? We have the data now to feed them to allow them to work in that semi-autonomous fashion. Start with interconnected semi-auto agents able to perform complex actions, based on a large scope vat of knowledge constantly streaming to them about conditions. Mix in emergent behavior that is inevitable in complex systems, and something becomes self-aware and starts killing off the humans. Smart machines can help predict vulnerabilities, via previously uncorrelated information and help drive decision making on security investments. Give more centralized control to the machine learning. The Amish mafia botnet operates betw 11pm and 1am and if machine learning detects that it may be able to make a response to transitioning situations. If you’re a botnet owner, and you know that they use certain spam services, you could flood an email server – and build mechanisms to control the tweaks. Machine learning are those things that help it discover. Giving the learning machine the capability to take action and determine whether or not the actions worked instead of just having the machine just automatically respond in known ways. Here are the things you can have control of. Figure it out. Actions well defined ahead of time rather than just giving the machine learning the control. BI pattern algorithms can be used to detect patterns between seemingly uncorrelated events such as an increase in probing attacks such as after a layoff or before an IPO. Is there a correlation between layoffs and attacks? What’s the sentiment about the company? The human response is to put a body guard on the CEO – but what’s the system response? The threats are more random. Statistically analysis can be used to assess the likelihood of damaging intrusions based on the business profile allowing for the appropriate amount of effort being spent based on outcomes. 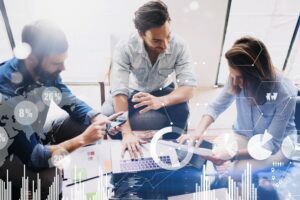 Advanced pattern and fuzzy data set analysis techniques can be applied to see truly what leads a business to be targeted. Powerful cutting edge set analysis tools such as the latest in quantum computing by DWAVE could be used to do research on the valuable correlations between the business profile, vulnerability types, value and cost of a security strategy. There are many types of “assets” that should be a part of the total enterprise security picture. Many of which are not traditionally used in formal analysis. You have a rich set of data and here are examples of things that might come out of your data. How do you get value out of that data? You start to aggregate all of the data, and start analyze (seeing trends, tracking effectiveness of investments, actual incidents vs. predicted incidents, why is this different from 10 years ago? The tools and techniques of big data make it feasible to run modern analytics to glean the value from the data. Could be new insights, eg., the relationship between raises, salaries and turnover rates. Trying to get predictive analysis from correlations not known ahead of time, monitor the current state of anything possibly connected to those original sets of data, and determine whether any of it had any value. So now you can put an ROI on prevention measures. It has to be measurable. if you don’t have the data to determine how things are now different, how could you possibly have had the data to determine what to do to make things different? Automated = IDS and IPS (see below) – these include blah blah blah, but does not tell you what your risks really are (the holes in your fortress) – the captain of the guards is making sure the guards are doing their job – the more sophisticated ones are checking IDs: very tactical – but what are the risks based on the attributes of that fort and what goes on in the fort that affects their overall risk profile, including what types of attacks they might expect; in comparison to other facilities that are not necessarily forts. Hackers have a flavor of the week – and are focused on one type of business profiles – not necessarily attacking all places all of the time. If a business steps up security, often hackers move on and your risk changes. Whole and part – you employ high school grads to do manual labor and you pay below the mean for that labor category for a fortress. What’s the likelihood they will be the source of an attack? Attack from the inside (#1 source of attacks.) is employee profile info enough info to have a comparison to other employee profiles of other types of businesses to generate data on your risk exposure for them? Gives you an idea about how much $$ to spend on security measures to take on people in that role. Eg., facial recognition vs id card or more sophisticated. You could spend infinite $$ on security, but the $$ available is always finite so you need to decide where to spend the $$ and what are the risks that were the tradeoffs. How did the tradeoffs decrease the risk? Continuous monitoring of your risk profile – would come from such things as an employee retention rate – if you have high turnover and you don’t train people in compliance what’s your risk exposure to banks that have tougher regulations and their training is 3X as long. Add to that: How can I compare myself to other businesses? Then when you look at the enemy’s thinking, you have a better idea of how you fall as a target. By characterizing identified vulnerabilities (from IPS and other threat assessment techniques) a company can create correlations with its own security profile and attacks of unknown methodologies, enabling it to predict with accuracy the characteristics of a potential future attack – and take measured actions to protect and/or prevent. So much info, how can you get value out of it – in particular value and risks about actual or potential security events. Based on the type of company, type of business, type of employees and the assets owned what is the appropriate strategy and tactics needed to reduce the threat level to an acceptable amount? How can the effectiveness of strategy and tactics be measured? How can compliance with the strategy and tactics be monitored? How can the characteristics not directly related to infrastructure operations be monitored for impact to a company’s acceptable threat level? How can the characteristics not directly related to infrastructure operations be monitored for impact to a company’s actual threat level? How can lessons from the past be leveraged in other companies and new situations?